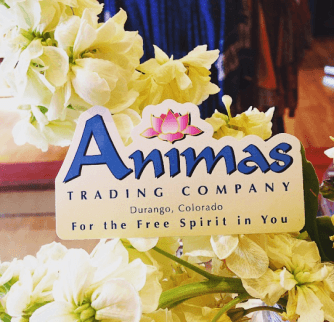 Animas Trading Company is not your typical shop on the corner. We strive to be unique, interesting and fun. 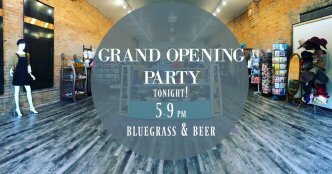 Upon walking into the store you are greeted by our friendly staff and your senses are soothed with the fragrance of incense and the sounds of great music. We are a place where customers can find new and interesting things every time they visit. We work hard to bring a distinctive collection of clothing, accessories and gifts from around the world to the community of Durango at affordable prices. Animas Trading Company is considered by many locals to be a “must see” spot for tourists to browse and shop. We have a strong commitment to our local community and are regularly involved in the variety of events that happen in our area. Feel Free ~ be free at Animas Trading Company. Thank you for choosing to find these excellent brands Locally! Just to name a few! We also import our own clothing, jewelry and gifts!